Clicking on the folder [Poject.params] will show the project parameters. 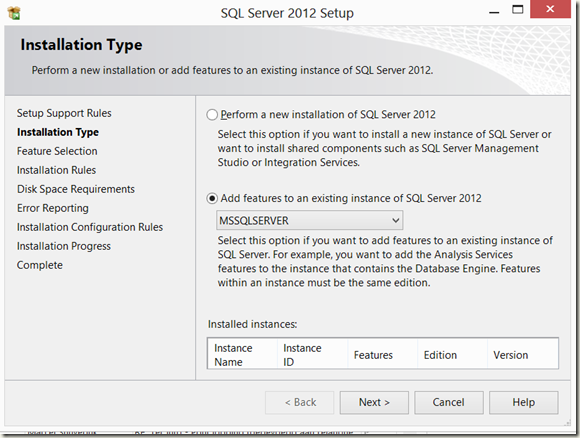 For demo purpose I will be using the master database here. 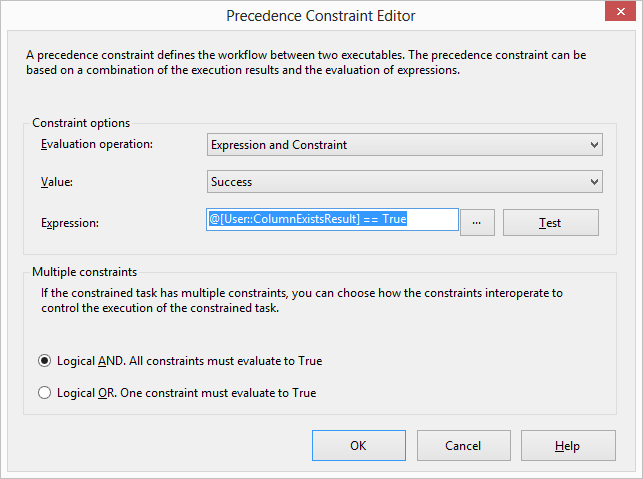 -- Determines if the given column exists in the given table. 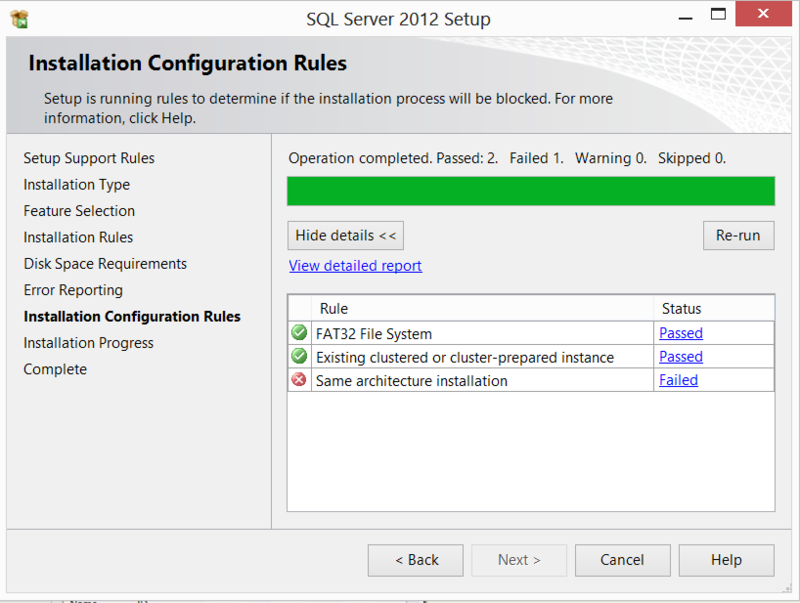 -- Check if table exists. 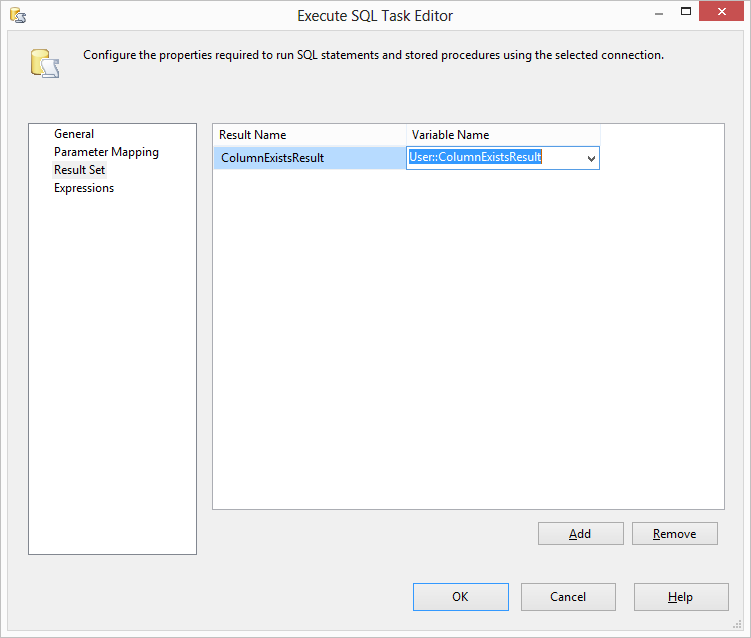 -- Check if column exists in table. 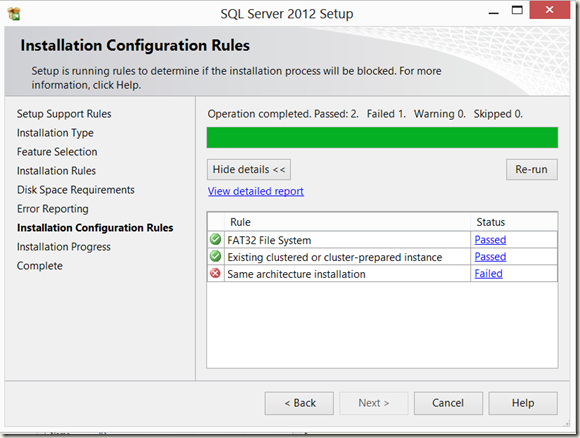 -- Return single row to SSIS. 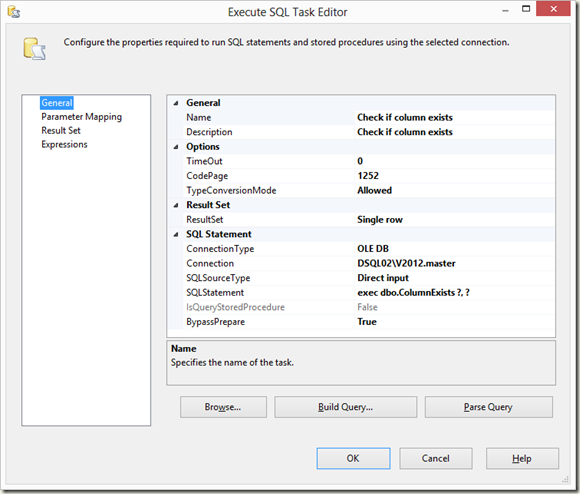 For demo purposes I entered a default value for TableName (“dbo.spt_monitor”) and ColumnName (“lastrun”). Change Connection to the name of connection created in the previous step. 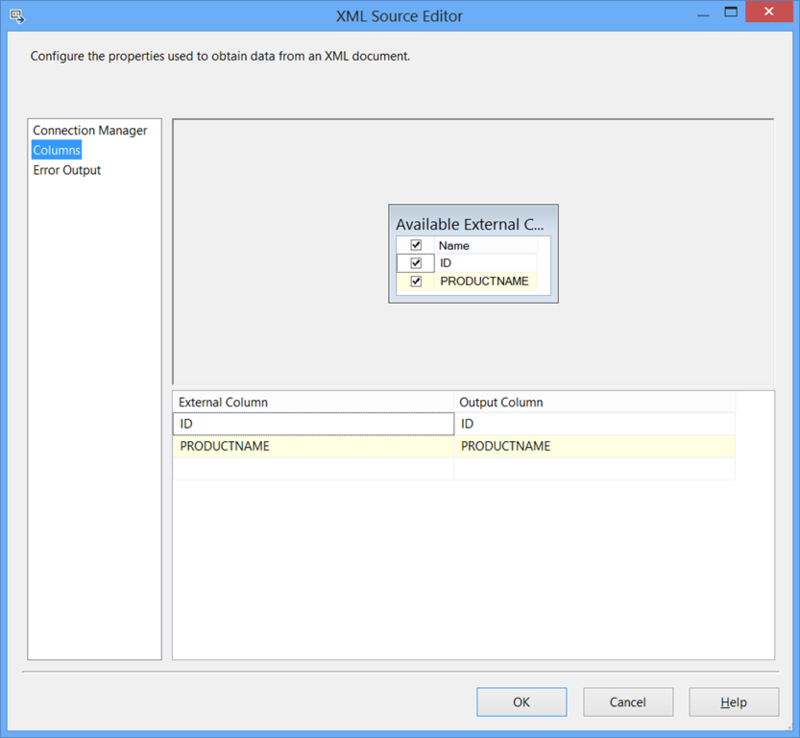 Note multiple parameters should be separated by “,”. 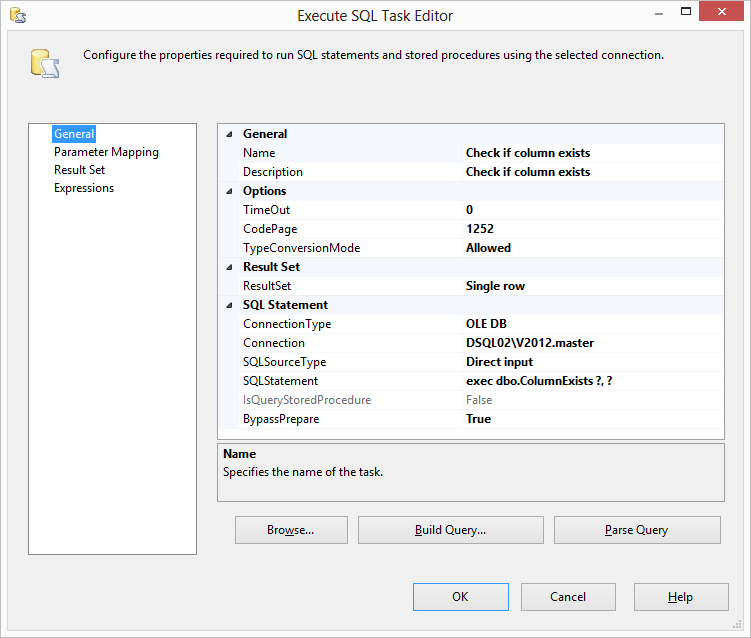 De parameters are linked to the question marks in the SQL Statement. 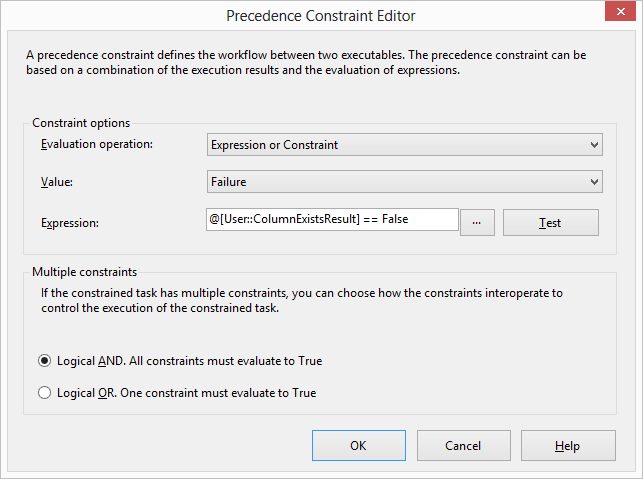 The first “?” in exec dbo.ColumnExists will be linked to Parameter Name “0” on the Parameter Mapping page. 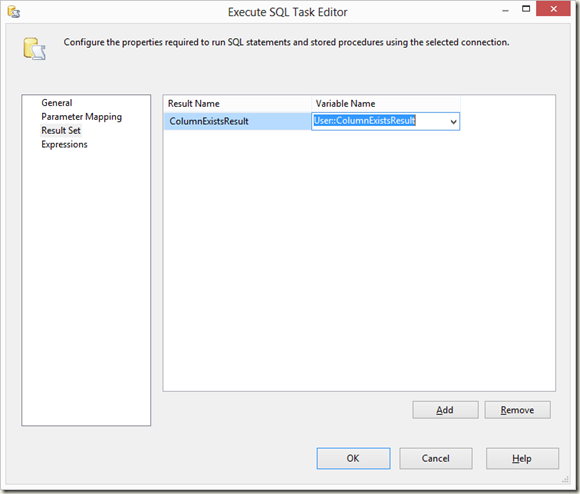 Note on Date Type (data type “DATE” is datetime in t-sql, data type VARIANT_BOOL” is t-sql data type bit). 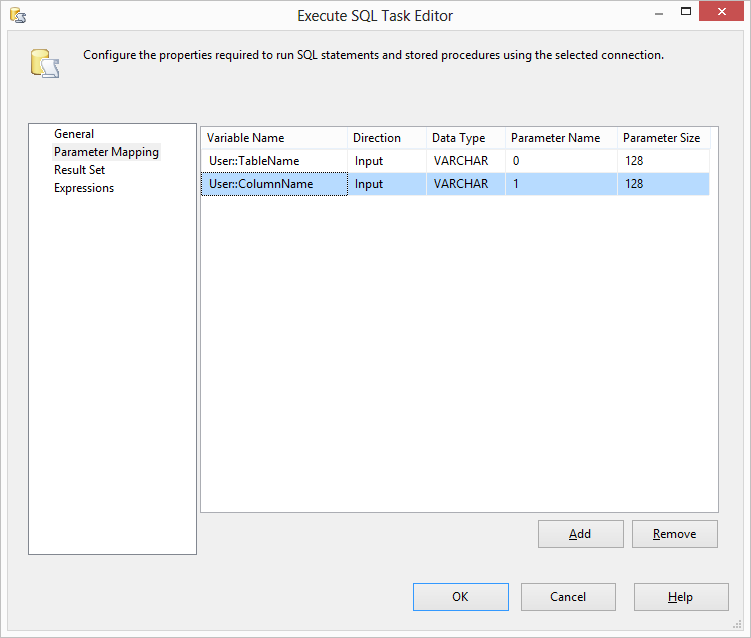 On the Result Set page you can map the column names from the stored procedure call to SSIS package variables. 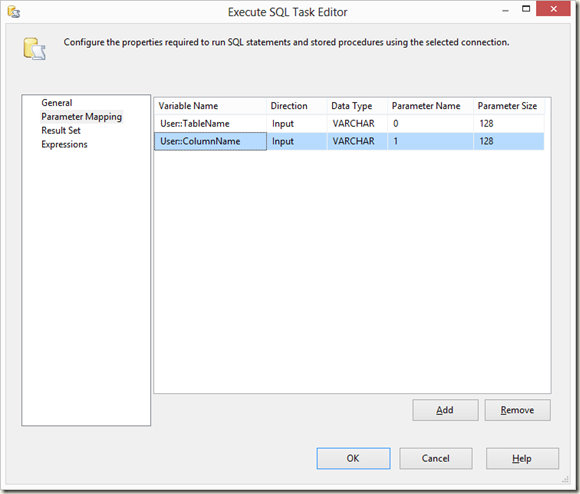 How to handle variable column count with the SSIS 2008 Flat File Source. If you don’t want to use that component, here is a script task that alters the import file, before the flat file source executes. // Determines if an event can be fired more than once for the duration of the current execution. // Check if file exists. // Will contain the new file content with corrected column count. // Continue reading until end of file. // Ignore empty lines (empty lines will not be added to the new file contents). // Split on ",", so we can count columns. Use string for performance reasons (later the array is used to join). // Check if current row contains less columns, then max column count. // Add column until maxColumnCount. // Store only max column count in new file contents (ignoring extra columns). // Save new file contents. 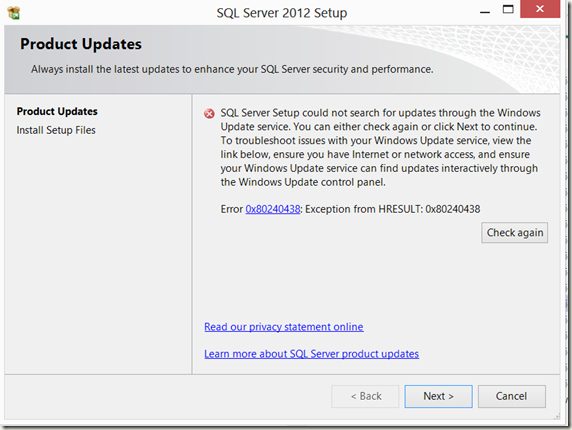 SQL Server Setup could not search for updates through the Windows Update Service. Well I just ignored that en clicked Next. This was caused by selecting "Add features to an existing instance of SQL Server 2012" instead of "Perform a new installation of SQL Server 2012", this is the right option. 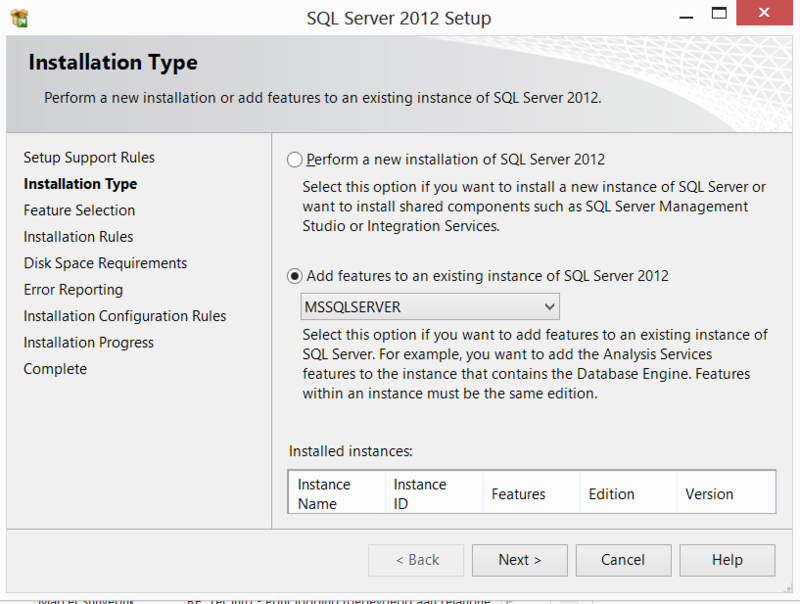 On the Installation Type page, verify Perform a new installation of SQL Server 2012 is selected, and then click Next. which you will select on the next Feature Selection page. 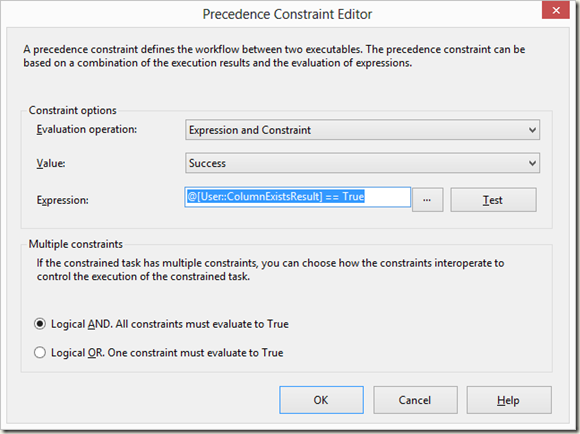 Solving the SSIS error: The PrimeOutput method on component "…" (107) returned error code 0x80131502. Thread "SourceThread0" has exited with error code 0xC0047038. There may be error messages posted before this with more information on why the thread has exited. The PrimeOutput method on component "SCR Read fout" (107) returned error code 0x80131502. 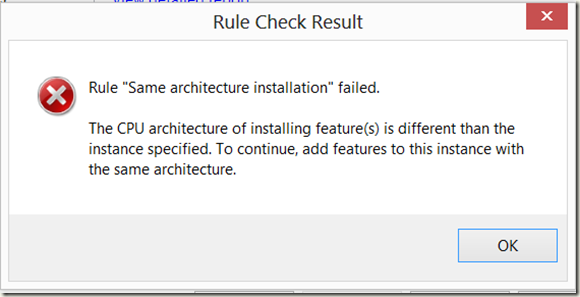 This was caused by a SSIS script component, that had a vb substring error in it. 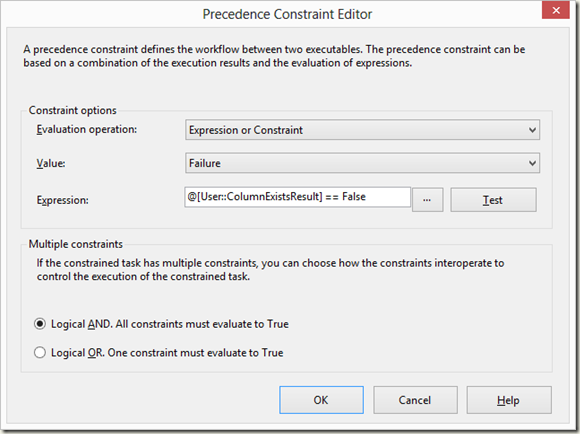 Fixing the substring exception fixed my problem. 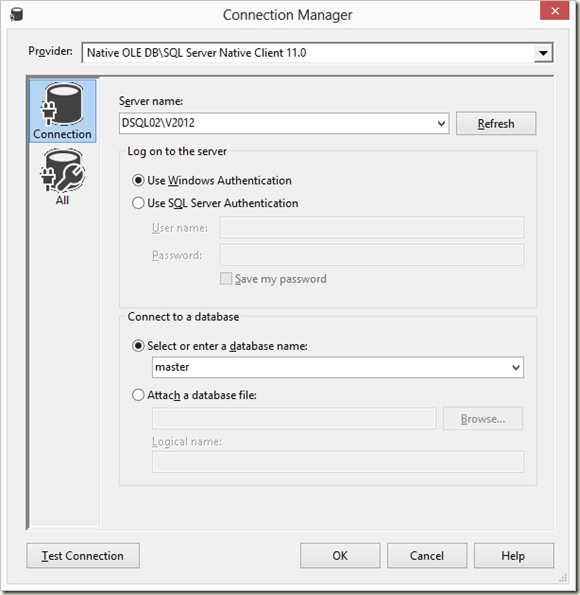 When you don’t have Microsoft Office 2007 installed on a machine running Microsoft SQL Server 2008 R2 Integration Services, you might get the error "The requested OLE DB provider Microsoft.ACE.OLEDB.12.0 is not registered"
Download and install the ACE provider from the following link, this supports office 2007 files both xls and xlsx file. 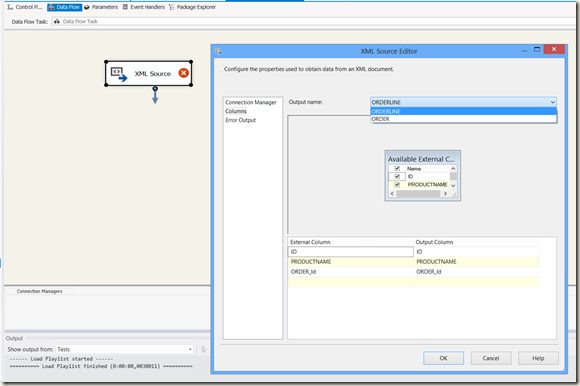 Error at Org_eenheden [Connection manager "Excel Connection Manager"]: SSIS Error Code DTS_E_OLEDB_NOPROVIDER_ERROR. The requested OLE DB provider Microsoft.ACE.OLEDB.12.0 is not registered. Error code: 0x00000000. 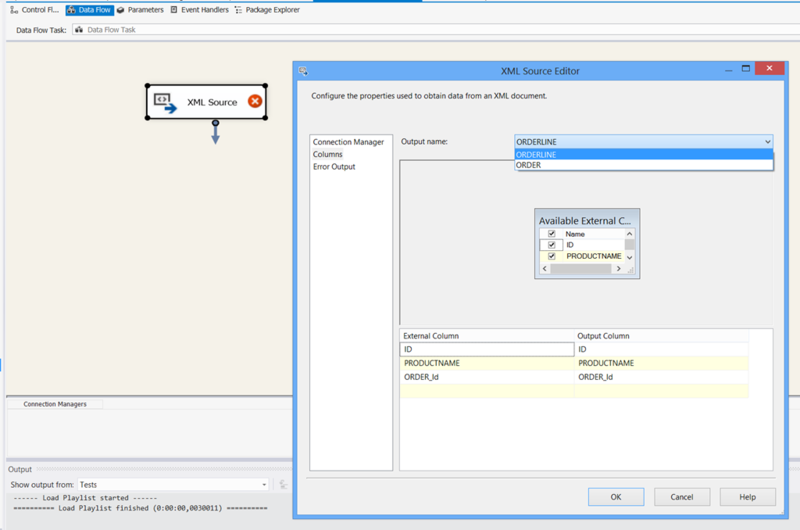 Error at Load data into SA [Organisatie eenheden ]: SSIS Error Code DTS_E_CANNOTACQUIRECONNECTIONFROMCONNECTIONMANAGER. 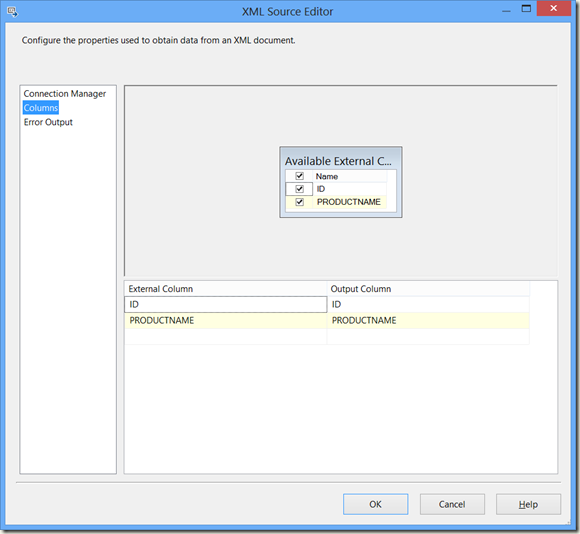 The AcquireConnection method call to the connection manager "Excel Connection Manager" failed with error code 0xC0209302. 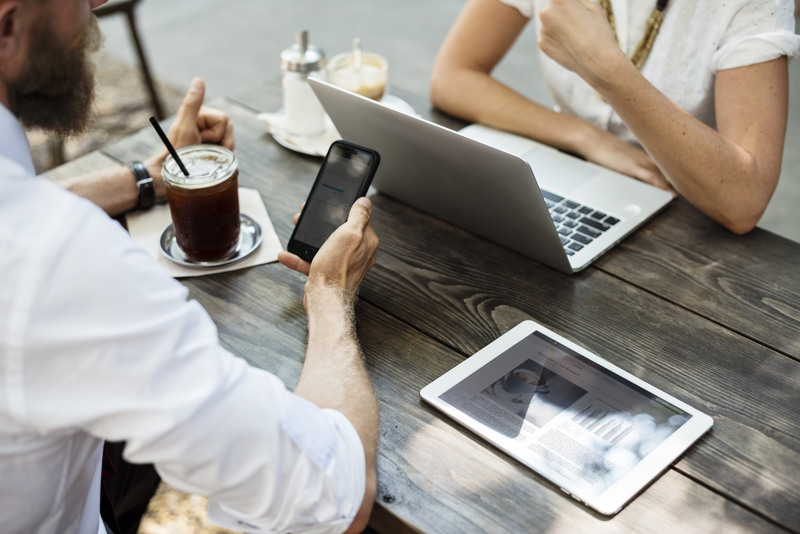 There may be error messages posted before this with more information on why the AcquireConnection method call failed.